Air France, Orange, SITA, Toulouse-Blagnac Airport and RESA have teamed up to provide an NFC boarding experience, allowing a select number of passengers to move through the airport — from entering the building to boarding the plane — by tapping their Orange NFC smartphone at dedicated terminals. During the next six months, the Touch&Pass app will allow passengers travelling on Air France flights from Toulouse-Blagnac to Paris-Orly to automatically receive their NFC boarding pass on their smartphones using their usual check-in method. They can then use their NFC phone to pass through different steps of the journey, including security control, lounge access and boarding. Air France and Orange will invite a few hundred Air France Gold and Platinum Flying Blue members to participate in the trial. Orange will provide the NFC infrastructure and SIM cards for the trial. SITA has developed the NFC specifications that enable this technology to work in an airport environment, a toolkit for mobile integration and the boarding pass delivery infrastructure. 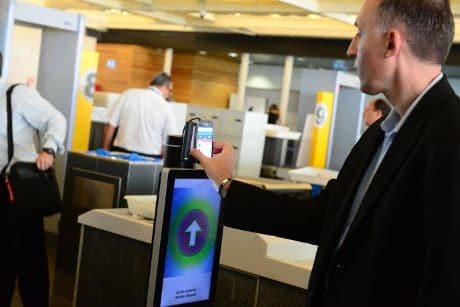 Air France will provide the Touch&Pass NFC apps for the smartphones, and RESA will provide the check-in, boarding, and fast-lane processing systems for Toulouse-Blagnac Airport, including e-Gates for security checks and self-boarding. The RESA readers use technical specifications developed by SITA to retrieve the correct boarding pass even if a passenger has multiple boarding passes stored on their phone.